One of the objectives of the class was to become the Life Science Center of Excellence for the National Science Foundation Innovation Corps. This meant capturing domain specific commercialization expertise for therapeutics, diagnostics, devices and digital health so others can teach this. Part 1 of this post described the issues in the therapeutics drug discovery pipeline. Part 2 covered medical devices and digital health. Part 3 describedwhat we’re going to do about it. Part 4 gave a snapshot of what one our teams found the first week outside the building. This is an update of our progress. Each of the four cohorts is taught by an experienced life science venture capitalist.Alan May for devices, Karl Handelsman for therapeutics Abhas Gupta for digital health and Todd Morrill for diagnostics. Jerry Engel and Jim Hornthal, both who taught the National Science Foundation I-Corps classes, are the senior instructors. The UCSF Office of Innovation and Technology (Erik Lium and Stephanie Marrus) is the reason the program exists. We get back together as one group and the instructors share what they learned as they compare and contrast the differences between therapeutics, diagnostics, devices and digital health. We’ve recorded these panels for each part of the business model canvas. One of the reasons I teach is because of how much I learn. One of early surprises of this class for me is finding out that the broad category of “Life Sciences” fails to provide the important nuances of each category to entrepreneurs, investors, educators, policy makers, etc. It turns out that for commercialization, the business model (Customers, Channel, Revenue Model, etc.) for therapeutics, diagnostics, devices, bioinformatics and digital health have very little in common. You can get a feel for how different by looking at the first two weeks of lectures – covering value proposition and customer segment – from each of the therapeutics, diagnostics, devices and digital health cohorts. Then at the end of the lectures you can see a “compare and contrast” video and a summary of the differences. 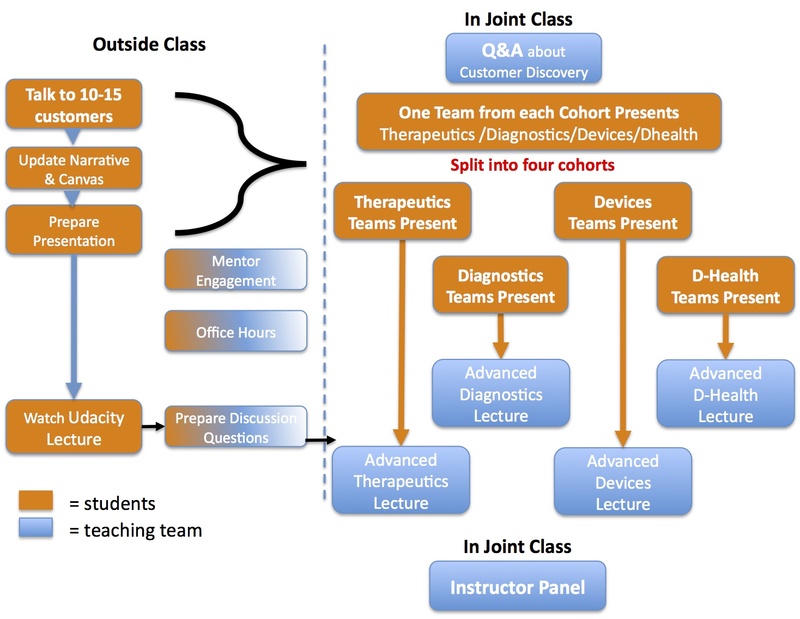 Once we realized that the four cohorts of therapeutics, diagnostics, devices and digital health were so different we decided to have the instructors compare and contrast howthey’re different for each part of the business model. We’ll be posting these “compare and contrast” videos for every week of the class. Digital Health Pain & gain = product/market fit needs to be a need, and the value proposition must address it. ”Nice to have’s” do not equal a customer need. Medical Device Customer Goal – figure out the Minimal Viable Product. No such thing as a perfect first generation product that targets a specific physician/customer segment. 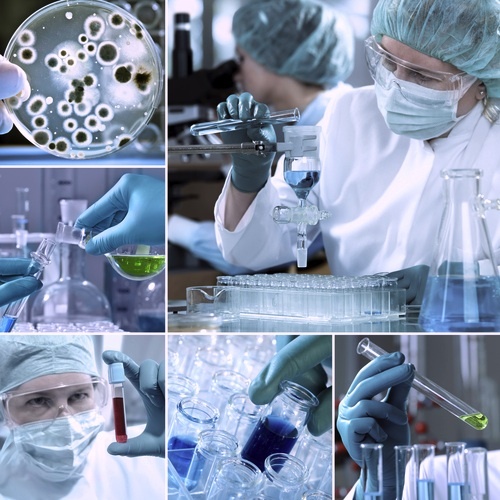 Diagnostic Customers = short term In vitro diagnostics are sold to a hospital laboratory or standalone lab, long-term you’ll be bought by Abbott, Roche, etc.